Michigan’s liberal Democrat, er . . . liberal Republican In Name Only (RINO) Governor Rick Snyder wants more Muslim aliens–he specified “refugees”–to come to Michigan. He’s made Muslim immigration the centerpiece of his Michigan economic policy. Just what we need. Shukran [Thanks], Jihad Rick for Welcoming Us to Michigan! Yesterday, he told Hezbollah- and HAMAS-supporting Muslims at the tax-funded, Muslim-dominated Arab American National Museum, that their community is a “role model” for Michigan, and that he wants them to help him bring more immigrants–he cited “refugees from the Middle East who are struggling” and whom he wants to attract and help (with more government aid)–to Michigan. Oh, and–bonus!–he vowed to hire more Arab Muslims on his staff. Billionaire Snyder also praised the tax-funded, Muslim Arab Community Center for Economic and Social Services (ACCESS) as a “national treasure” despite the fact that, as I’ve documented on this site, ACCESS was raided by the FBI for billions in Medicaid fraud (it runs a smuggling ring for pregnant Muslim illegal aliens to obtain birthright citizenship), brings illegal aliens into the country, and opposed laws prohibiting donations to HAMAS, Hezbollah, and Islamic Jihad. Oh, and it provided thousands of dollars in job training for Commercial Drivers Licenses for members of the Detroit Al-Qaeda Terror Cell and tried to help them get HazMat hauling certificates for them. An ACCESS official who ran the town hall meeting where he made his dhimmi-esque, Islamo-pandering statements, thanked Snyder for expanding Medicaid so more Muslims could go on Medicaid. ACCESS officials told “60 Minutes” after 9/11 that it was “not their job” to help the U.S. government root out terrorism, and they would not help (despite getting multi-millions in federal aid to their agency and museum, thanks to a Republican Congressman and Senator). “Role models”? Not even close. This is the same “role model” community, by the way, where most Muslim stores have boxes to raise money for two Hezbollah “charities” and where 10,000 Hezbollah and HAMAS supporters marched daily with anti-Jewish signs and swastikas for days on end during the Israel-Hezbollah war and when Israel entered Gaza to try to rescue kidnapped Israeli soldier Gilad Schalit. I guess the fact that over 300 U.S. Marines and civilian employees at the U.S. Embassy in Beirut were murdered by Hezbollah means nothing to Snyder. After all, we must be tolerant of America-hatred, right? Don’t judge. This is the same “role model” community where illegal aliens from countless Muslim countries make it a regular practice to defraud welfare and Medicaid. It’s the same “role model” community where I witnessed supporters of an Islamic charity applaud and cheer when a Palestinian Muslim dance troupe simulated beheading and murder of American, British and Israeli soldiers at a time when many Westerners, including Americans Nick Berg and Paul Johnson, were beheaded by Muslims and on the same day that Johnson’s beheading video was released. Yup, we need more role models like this . . . like we need a nail in the head. Our Governor is Jihad Rick! Of note is that Snyder denounced koran burnings by Terry Jones, the con artist/fake reverend who cannot articulate why Islam is bad when asked. But Snyder won’t denounce this community’s open support and financing of groups that kill Americans. So, burning a book of hate–a legal act in America–bothers Snyder, but not support for murdering Americans. I guess he forgot Hezbollah’s partnership with Al-Qaeda in the Khobar Towers bombing, too. I’ve mentioned Snyder’s campaign to get Muslims to bring more of their fellow co-religionist immigrants into the U.S. and Michigan before as the Governor–who Ann Coulter said is on her top list of Republicans she supports for President–said the same at the HAMAS/CAIR-sponsored Michigan Muslim Capitol Day, which Snyder hosted. And he opened a Michigan office for immigration funded by Michigan taxpayers to enable his dream of helping make Michigan into an Islamic caliphate. Interestingly, the office operates out of the Michigan Civil Rights Commission, a minority-grievance bullying agency that never takes the cases of Whites or males whose civil rights have been violated. And, now, Snyder is ramping up his efforts to bring more Muslim extremists to America and to Michigan. Because apparently it is not enough that America is swamped with several thousand Hezbollah money-launderers and tens of thousands of Muslims who the Pew Research Survey says support violent terrorist acts and suicide bombings against Americans in U.S. soil. We need more! And it is not enough that we have high schools in Dearborn, including Fordson a/k/a Hezbollah High, a public high school conducting itself as a madrassa, where the principal gave kids extra credit points to leave school and campaign against Christian candidates for office, where prom was canceled and women were told not to wear heels or tank tops because it is un-Islamic, where Christian teachers were persecuted as were the very few, marginalized Muslims who spoke out. After all, we need more people who own cash businesses like gas stations, restaurants, and convenience stores to drive around in Mercedes and Land Rovers while they collect AFDC, Medicaid, and Section 8 subsidies. Don’t we? Yup, great role model for Michigan, Gov. Snyder. Just fabulous. Snyder kept telling Muslims they are the “highly-skilled” immigrants that put Michigan on the comeback trail and that it needs more of them. But, in fact, there is no evidence they are highly skilled at all. In fact, most are not skilled at all, and a disproportionately large percentage of Arab Muslim immigrants in Dearbornistan and elsewhere around Detroit and in Michigan are on government assistance. Oh, and we need more Muslim extremists in our midst so that Jews and Christians can live in fear of being kidnapped, tortured, and murdered, like they do in France. So that there are more Ilan Halimis. Yeah, that’s the ticket. It’s interesting: the Obama government went all the way to the U.S. Supreme Court to knock out Arizona’s immigration laws, saying only the federal government has the right to engage in immigration policy and law. And, yet, it is okay for Rick Snyder to encourage more illegal aliens to come to Michigan and spend tax money on an office that handles it. While Snyder was calling for more Muslim refugees yesterday, grandstanding RINO Michigan Congressfatchick Candice Miller demanded President Obama activate the National Guard to go to the Southern border, but she won’t do a thing about the Governor from her own party in her own state spending tax dollars from HER constituents to bring more illegal aliens to the state. Who cares about the Southern border if she won’t even lift a finger or open her mouth about what Jihad Rick (my new name for him) Snyder is doing to bring Muslim aliens to the midst of Michigan? What is the difference? There isn’t one, except that most immigrants on the Southern border are Latino youth who are Catholic and some of whom do work hard, while the people Rick Snyder is trying to bring more of to Michigan are Muslims who hate us but love our economic opportunities and entitlement safety net while they enjoy the all-cash good life and send some home to the Brotherhood and the Hezbohood. And when she was Michigan’s Secretary of State, the Chutzpahdik Miller proudly issued driver’s licenses galore to illegal aliens, which is why many of them drove here to get ID. But suddenly this is her issue . . . to get the media attention she craves as much as calories. This is Michigan’s Republican Governor. But Michigan’s Republican Attorney General, Bill Schuette, who was elected with heavy Tea Party support, met with the same people and gushed over them when he ran for the job. And he is running for Governor next. And this isn’t just in my state. This is coming to your state, too. If it hasn’t already. But the Tea Party activists won’t rise up against Governor Snyder. After all, Ann Coulter told them and Sean Hannity what a great guy he is. She said the same of Mitt Romney. And George W. Bush. They also reached out to the same Muslims. Bush got this same group of Dearbornistan Muslims’ endorsement over Al Gore, even though they do not make a difference even in elections in Michigan. And then he doubled Muslim immigration after 9/11 during the course of his Presidency. Now, they are a voting bloc that is ever increasing in size and quickly reaching critical mass. 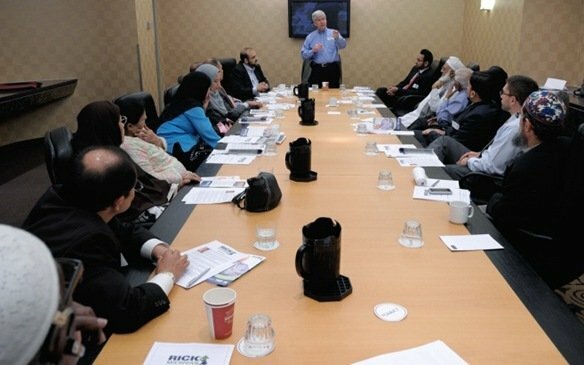 And did I mention that Rick Snyder was endorsed by the extremist Muslim Observer and the Muslim Media Network (over his radical Dem opponent)? Today, Rick Snyder paid these absurd verbal Lewinskys to the most extreme Muslims you can find in Amrica. Tomorrow, your Governor will do it if he hasn’t already. Yes, Barack Obama already did these things. But George W. Bush opened the door to this as he did it bigger and first. And now it’s official, Ann Coulter’s new mancrush for Prez wants to increase the Islamic welfare state in Michigan to an even bigger size (and it’s already quite big). And yet we are supposed to worry about ISIS’ swath of land it controls thousands of miles away while we do not worry about what is happening on our own soil that we supposedly control (but don’t). Good luck with that. America, you’ve already lost. And Jihad Rick is just the latest field marshal making sure the loss is big and quick. But, yeah, we need more “role model,” terrorist-supporting extremist Muslim immigrants on U.S. soil. And we’re about to get a whole lot more of them who are the latest refugees of the ISIS result of the Bush War in Iraq debacle that should have never happened (because we focused on stupid “hearts and minds” and Islamic democracy crap when we should have installed a brutal pro-US Sunni dictator who knows how to deal with Muslims). And don’t worry. There will be plenty more new Middle Eastern joints where you can get your tabbouleh fix–and plenty more mosques where you can get your hate America and Jews and Christian infidels fix–while Jihad Rick (and your governor, soon) is getting his Muslim immigration and “role model community” fix. So, how did that Bush “hearts and minds” stuff work out for you? Gov. Rick Snyder made one thing perfectly clear during his town hall Monday at the Arab American National Museum — Michigan is back. But it wasn’t without the help of the refugees who make their homes and start their businesses here. “We are more powerful when we come together and learn from each other,” Snyder said. We are the world, we are the children, blah, blah, blah, yadda, yadda, yadda. Michigan has been a shining example of that, he said. The governor said Michigan has always been a welcoming place for immigrants, and supportive of diverse communities. 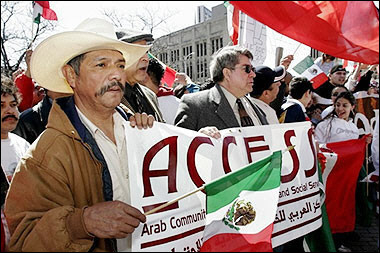 Organizations like ACCESS, the Arab Community Center for Economic and Social Services make that possible. “ACCESS is a national treasure, not just a local one,” he said. In fact, he said Michigan should be a role model for other states looking to diversify. . . . One program he mentioned is to get 50,000 visas for immigrants who want to live and work in Detroit. . . .
Snyder took a few questions from the audience and heard concerns about banks closing accounts of Arab-Americans, improving education, the no-fly list and more training funds for job seekers. Madiha Tariq, manager of public health for ACCESS, thanked the governor for making sure the medicaid expansion passed. “It has been amazing, especially for the refugees,” she said. Snyder said he was glad everyone worked together to get it done. Now more than 280,000 people have health insurance. Translation: I’m so happy I was able to expand the Muslim welfare state in Michigan, so we can become like the UK. Now, help me bring more refugees here because we don’t have enough unemployed American citizens competing for jobs. But refugees, particularly children, continue to struggle, he said. And more needs to be done on bringing in immigrants. . . . He has requested from the federal government 50,000 work visas over five years for immigrants to live and work in Detroit. . . .
Snyder was asked [about] . . . discrimination against Arab-Americans and the worry that he doesn’t have enough Arab Americans on his staff. Snyder said he plans to explore the issues. Translation: Meet my new chief of staff, Mohammed Al-Hezbollah. Aleikum as-salaam. Again, this is the Republican Governor of Michigan. Not the liberal Democrat who is running against him and who will–all polls show–get trounced in the next election. Rick Snyder doesn’t need this community of extremists and terrorism supporters. But he’s acting like a desperate geek seeking a date. At the expense of Michigan and the expense of this country. So, good luck with Ann Coulter’s top choice for President and his Islamo-pandering immigration policy seeking more Muslim refugees. As I noted, George W. Bush’s waste-of-American-lives war in Iraq has already assured that Michigan has received up to 60,000 new Iraqi refugees–many of them Muslims–a year plopped onto our entitlement rolls and into our job market at cut-throat wages. And these extremists aren’t stuck in Michigan. They can come to your state, too. Then you can thank Jihad Rick and the Republicans–not the Dems–for this. There is no longer an opposition party. Just two parties that fight each other to show who supports immigration jihad more. It’s disgusting, Debbie, pretty disgusting. Not the fact that you did the story, as I’m a Debbie Schlussel fan, you know that, but the content of the story. And specifically, with regard to the content of the story, it’s actually the behavior of the Governor, Ann Coulter, and others mentioned in your story. If people wouldn’t behave this way, there would be only good news, and if Debbie wanted to be a journalist, she’d have only good news to report. And that would be a nice world, if the worst news story of the day would be that some 9 year old’s sixth cupcake in a tin fell during the baking phase, and she only made it to the school’s show and tell with five well formed cupcakes. That’s the world I’d like to wake up in. But I have to wake up to this. And now, I have to finish my coffee and go out and paint in the hot Queens, NY sun today, knowing that all around me are many Americans, my so-called fellow citizens, some of whom are good and decent people. But many are those who want to steal my wallet, have a bad day and decide it’s ME they want to run over with the car, steal my identity and drain whatever they can (in my case, there’s nothing to drain), find out where I live and rob the place, accuse me of racism and intolerance, and a litany of other things. And then there’s the governor of Michigan. He wants to bring even more people in to the country, who also would like to do all of the above to me, AND kill me because I’m a Jew, kill me because I profess Christ, kill me because I’m blond haired, blue eyed and pasty white, kill me because I’m not Muslim, and kill me because they find it to be so much fun in the first place. So, when I’m out there painting in the parking lot area of the funeral home I’m working at today, I’ll know that as the minutes pass, even more of the fellow citizens walking and driving past the place will be those of the ilk that just want to make my life more . . . Sorry to bring bad cheer to the party. I’m trying, I’m really trying, throwing up prayers to my Lord and Savior every day. I try not to get discouraged, and remember to exude the joy of The Lord. Took me many years to get that one, but I finally did. But the word for today, is just . . .
Ann Coulter has nothing to do with the Tea Party although she was smart enough to make a play with Brat. Her machinations are clearly visible to anybody with an eye for them. Michigan is already well on the way to being a blue state so a few more Muslims there won’t make any difference. Once you go blue you are on the way to being Judenfrei and that’s just a fact. People won’t accept that because they have emotional baggage invested with some liberal ideas and attachments to what the Dems used to represent to them but they can forget about it. Like many other Americans you have fallen into the dichotomy trap set up by TPTB ! And here we come to the difference between what’s going on on the Southern border and what Synder is doing? Pretty simple really – an open border. The transformation of a red state to a blue one by federal authority. And those Christian Mexicans – they vote blue, they vote for the Synders and worse. This is not a silly game. Appreciate the info about Synder but don’t need the nullifying comparisons. They might for a while, but they are about one thing – money. And when they realize the govt. is screwing them out of it they start turning conservative, usually within a generation. Rick Snyder is an example of a Republican who is really no different from his Democratic opponents. He is as willing as Nancy Pelosi to peddle the welfare state, as long as it is for the benefit of Muslims. Also, Muslim refugees become refugees through the actions of other Muslims(for the most part), but this little fact never seems to get out. Not too good but when you invade a country like Iraq in one election cycle and vote for somebody named Hussein Obama OSama in the next. Well, then it’s not really going to work out too well no matter what happens. Oooh, as an Israeli, I can say Thanks, Gov, Snyder, you’ve solved “our” refugee problem. Take them all. Now, they’ll get their Two states, only one won’t be in the Middle East. As someone who has many American friends, I can understand why that might not make y’all so happy. If this guy is on the Republican ticket, I will stay home that day. And why aren’t any of the public officials commenting on the now public mass slaughter of Christians in Africa? where is the Black Caucus? Where is anybody??? How about the 2 yeshiva students kidnapped by Hamas right before Shabbat? You do know about that over there, right? Sorry, it’s THREE students. Typo. 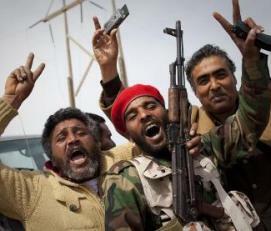 And now Palis are going around holding up 3 fingers as a sign of support for the kidnappers. The ones in Gaza did their passing the candy routine when it happened. I know Debbie doesn’t like some of the English language Israeli news sites so I won’t post links but wish she would. 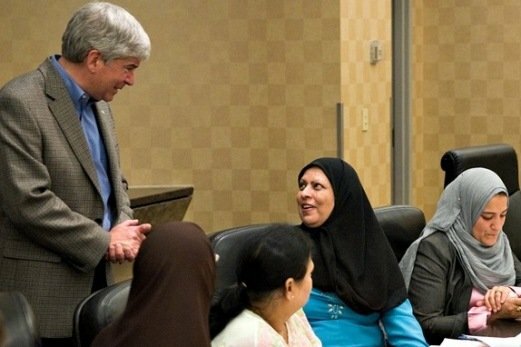 There is no question that Snyder has an affinity for Muslims, including terrorists. But I suspect something else is at work, as well. He is looking for a twofer. He is not very popular in the Black Community (er um, among people of color) at this time, because of what is happening in Detroit. He knows that Black politicians and Black voters are disproportionately sympathetic to Muslims, terrorism notwithstanding. I think he hopes this gesture will neutralize a little of the Black hostility against him. I believe this, especially since he does not need the Muslim vote to win. Ann Coulter? Well, Pat is getting on in years, and needs a replacement. Uh, what makes Cantor different from Snyder, Christie, McConnell, etc.? Uh, gee, I can’t imagine. They are all for amnesty — what makes Cantor so special, duh…. “(muslims are a) national treasure? !” Unbelievable. That’s similar to the softly-racist, over-praising that guilty whites heap on blacks. I don’t think Frankz will ever get Debbie’s refusal to go-partisan on this issue, but there’s always hope. The problem with certain issues (e.g., immigration and Islam) is that on an elite level, partisanship doesn’t matter much. That is because political elites strive to prevent a high-level cleavage between parties to form on these issues. Now, there is every reason to believe that the grassroots are way more opposed to the illegals (even the grassroot Dems) than either party. The same is likely the case for Islam. Because it would be easier for elite Republicans to be policy entrepreneurs than for elite Democrats (because hispanics, blacks, and muslims tend to vote Democrat), we must focus on the terrible shortage of such elite Republican entrepreneurs. THAT IS WHAT DEBBIE IN EFFECT IS HIGHLIGHTING HERE, in different language. They, along with all other guilty whites and all progressives, bend over backwards to accommodate people of color and muslims to show that they’re socially liberal. However in doing so, they reveal their true obtuseness by not being able to discern any differences among the people to whom they kowtow. Over-praising, extreme gentleness and softening of voice and demeanor are all signs of this soft-racism and will be our undoing just as it is occurring in Western Europe. Please email him this blog pos debbie, so he know that people are paying attention to what he is saying and doing. Interestingly, the online contact page for the governor seems to have become unavailable. Governor Rick Snyder is a panderer. You really have to wonder whether or not he is feathering his own nest for the time after he leaves office. Clinton and the Bushes did that sort of thing after having left office. Snyder is worthless to Michiganders. 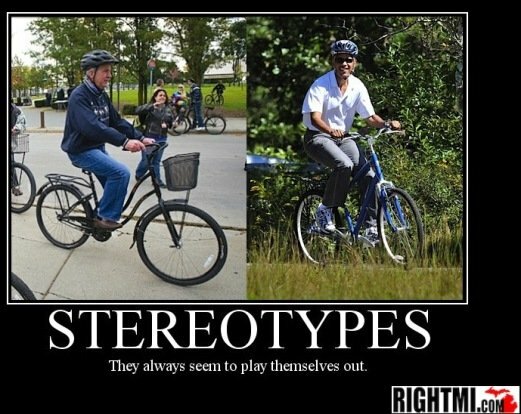 Him and Obama are the perfect couple. Worthless! All muslims are in welfare. Thanks to Gov. Snyder. We forced to pay them income and food, and education and housing. How come i don’t get any support when i need it? I thought usa was sold to Chinece, now i see was sold to the Arabs.